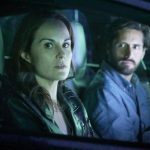 Filmed in Gastonia, North Carolina and the Charlotte region, Fox’s new hot button drama Shots Fired continues with Episode 2, entitled “Betrayal of Trust”, and we have a new preview to get you ready for the action. Did you watch last night’s premiere? What did you think?